For the proud soldier and his spouse, who are serving / have served serving the Indian Armed Forces. 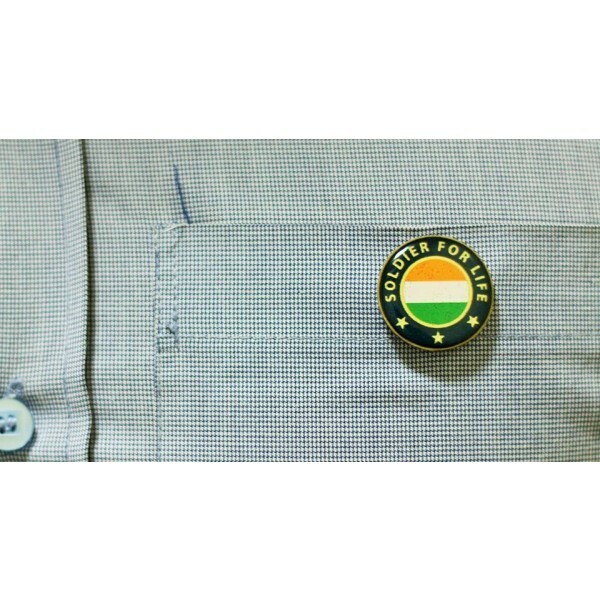 Pin this beautiful unisex Lapel Pin on your shirt / or on your blazer collar to stand out amongst the crowd! 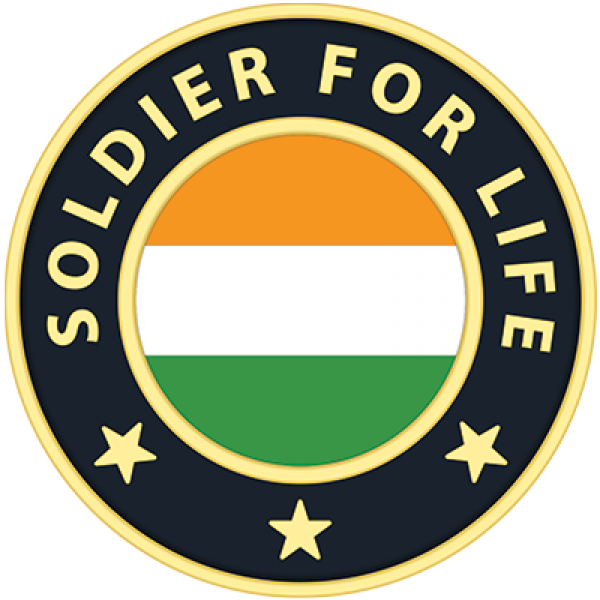 A beautiful unisex Lapel Pin for the proud Soldier for Life, who has served the Indian Armed Forces and for his / her better half, the spouse. 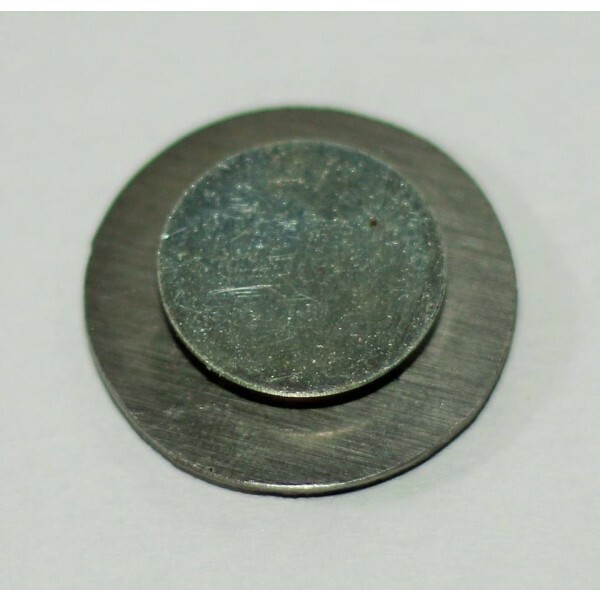 The lapel pin comes with a magnet, for easy fixing and for ensuring zero damage to your garment. Dimensions: less than 1 inch in any dimension The proceeds of each sale go to various initiatives of Soldier2ndLife (a portal that helps soldiers and spouses succeed in their 2nd lives). I purchased it for my Dad, and he really loved it..